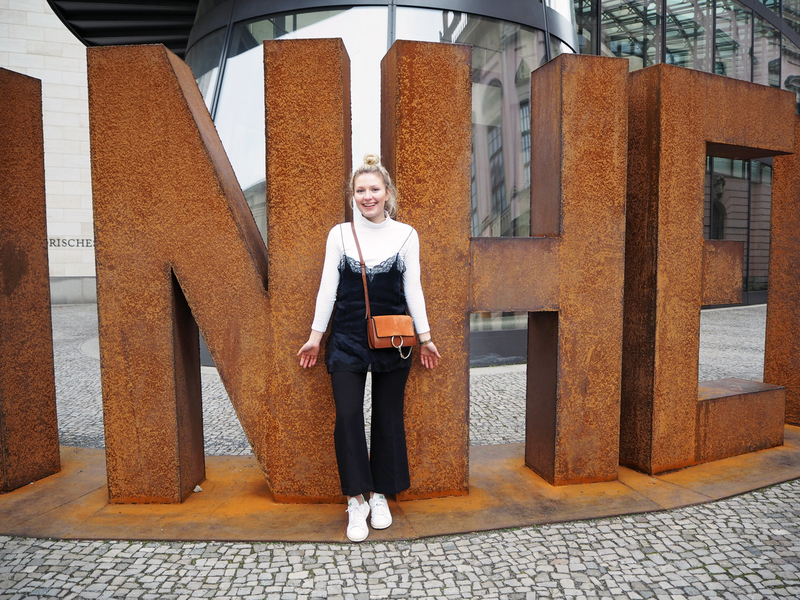 You may or may not have seen my Berlin YouTube video already - but here's my promised city guide to the German capital. 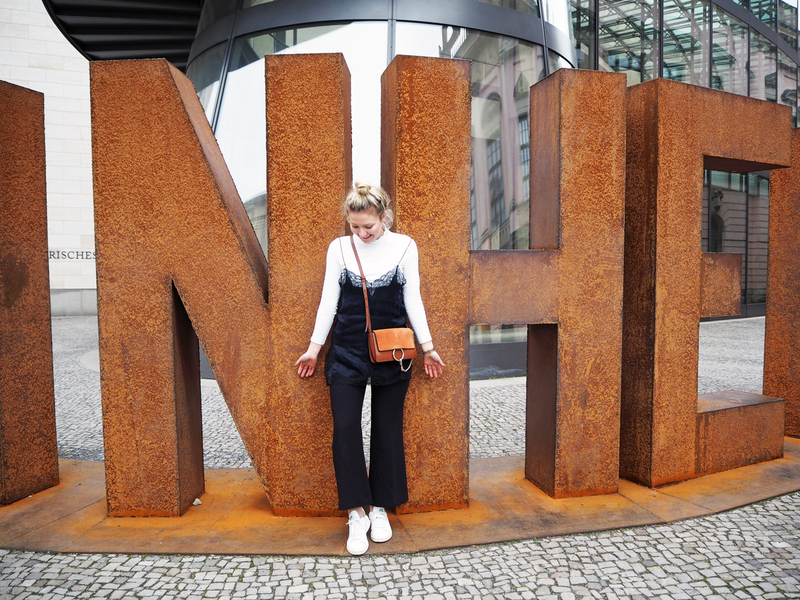 My two friends and I flew over for 3 nights and 3 days for a catch-up weekend - I've never been to Germany and we needed a new city to explore. 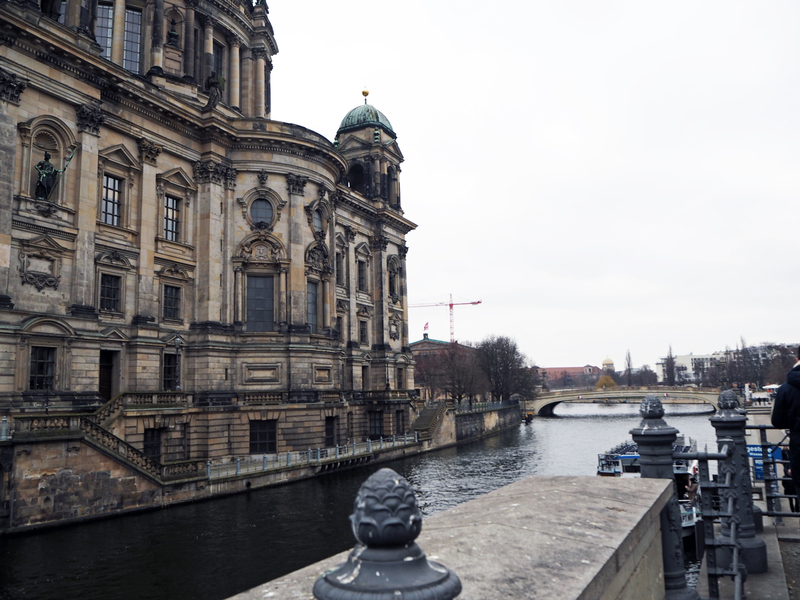 Three nights allowed us plenty of time to explore the city's main districts, tourist sites and eateries, not forgetting a spot of nightlife, shopping and biking! Distrikt was somewhere I had researched prior to the trip after seeing its name time and time again on several city guides and even my Instagram feed. 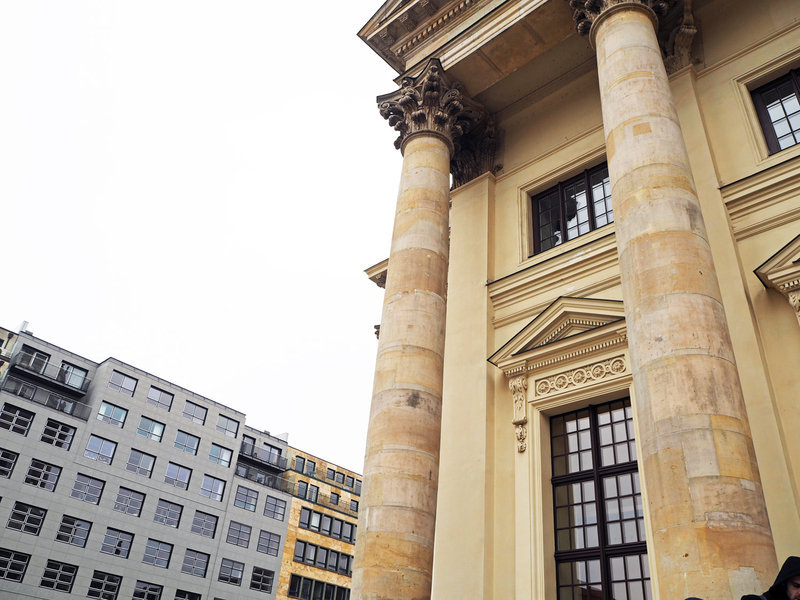 It's located in upper Mitte, about a 10/15-minute walk from our hotel so I knew we had to pay a visit on our very first morning. 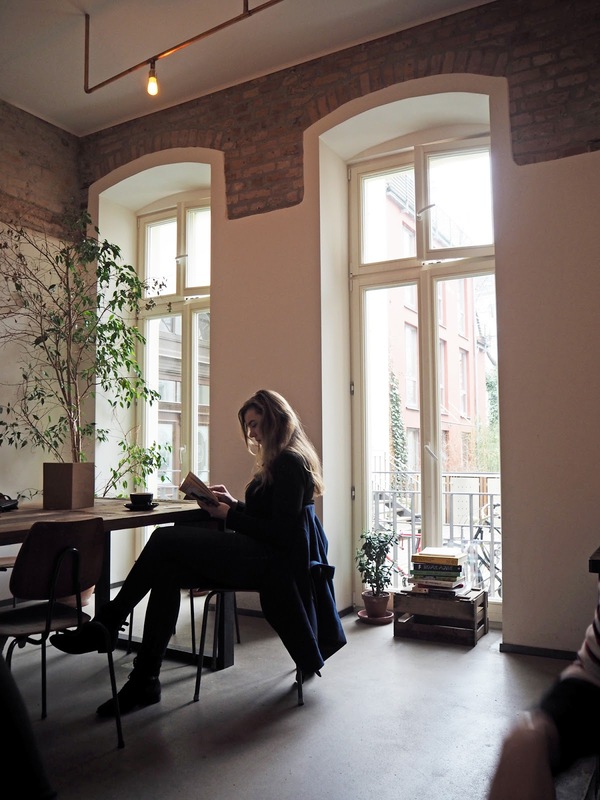 In truth, the neighbourhood was a little remote and almost seemed a little ghost-towny (it was freezing, so everybody was inside... but where), and as we stepped inside the café we realised where everybody was hiding out! 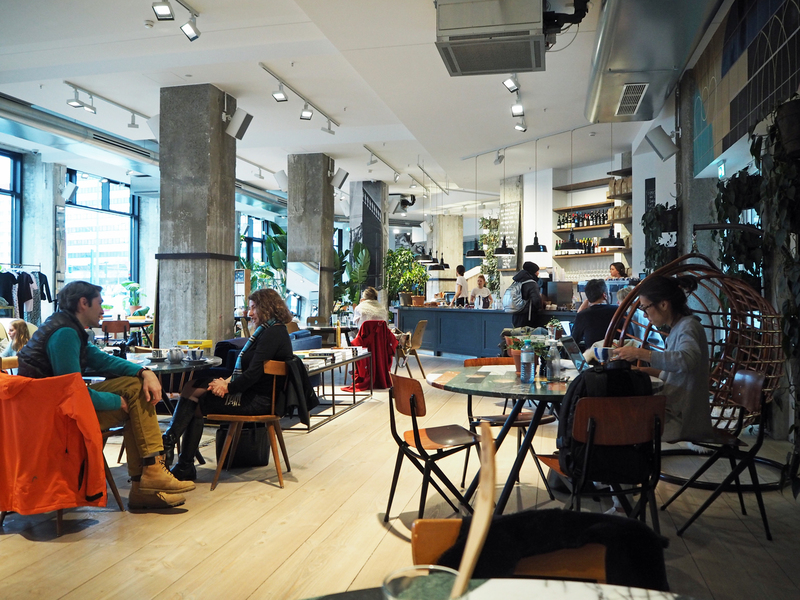 It was busy, but not packed; providing the perfect bustling locals atmosphere we were after (it still felt like a local's hang-out, which was important as we wanted to experience the real Berlin wherever we could). We didn't get a table right away, so we sat at the bar and ordered coffees while we waited. Delicious, as expected. 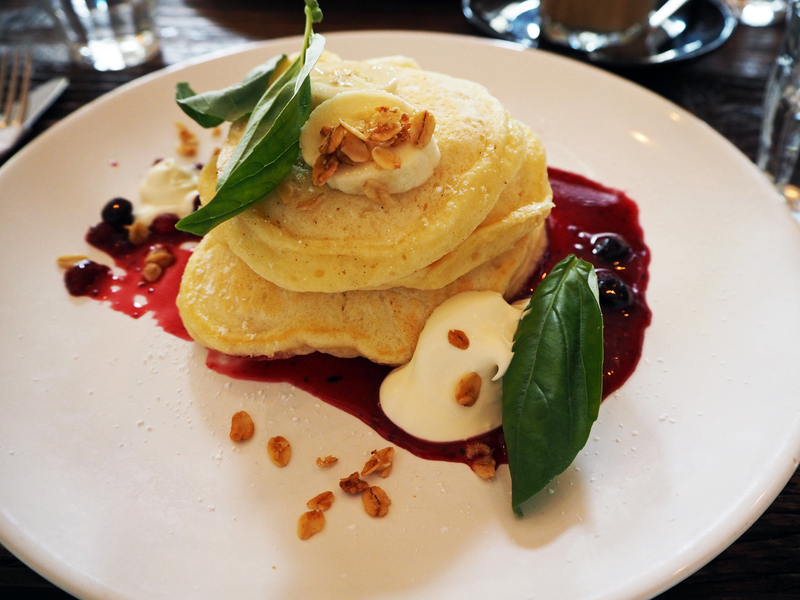 We were then shown to our table towards the back and ordered their famous fluffy pancakes and colourful acai bowls. Everything was fantastic and I'd 100% recommend stopping here if you are in the neighbourhood! 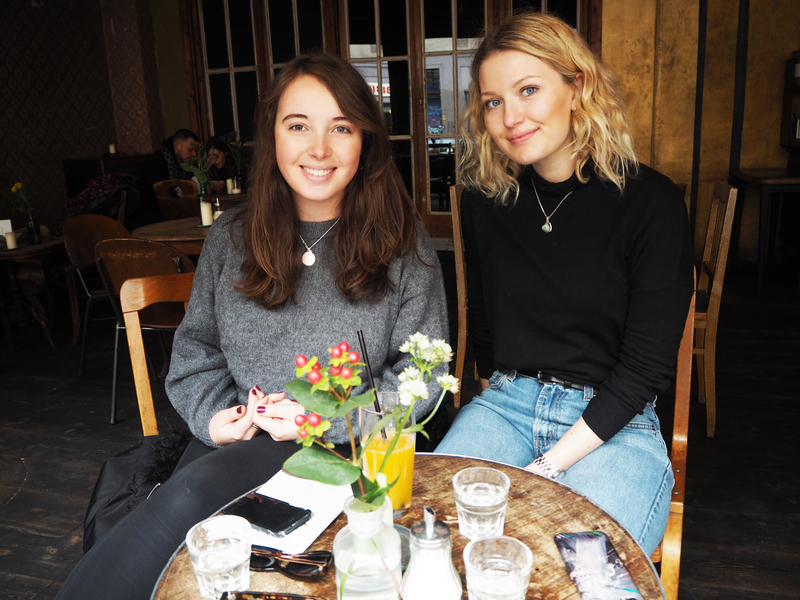 We stumbled upon Luzia by complete chance, looking for somewhere to rest our legs, up our caffeine energy levels and connect to some wifi to post some Instas/check our messages - as we were meeting up with an old friend that evening. 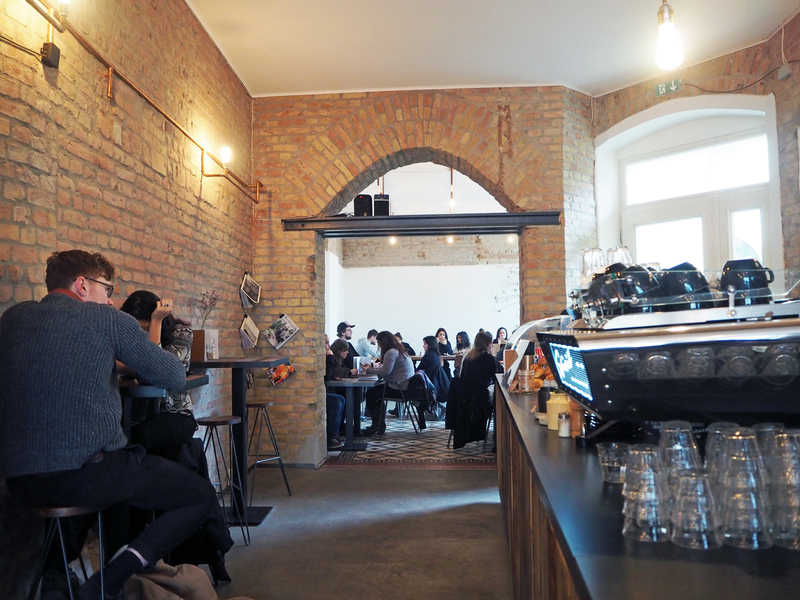 Located in Berlin's Kreuzberg district, the bar was unsigned, shy and undemanding - again, obviously loved by locals. 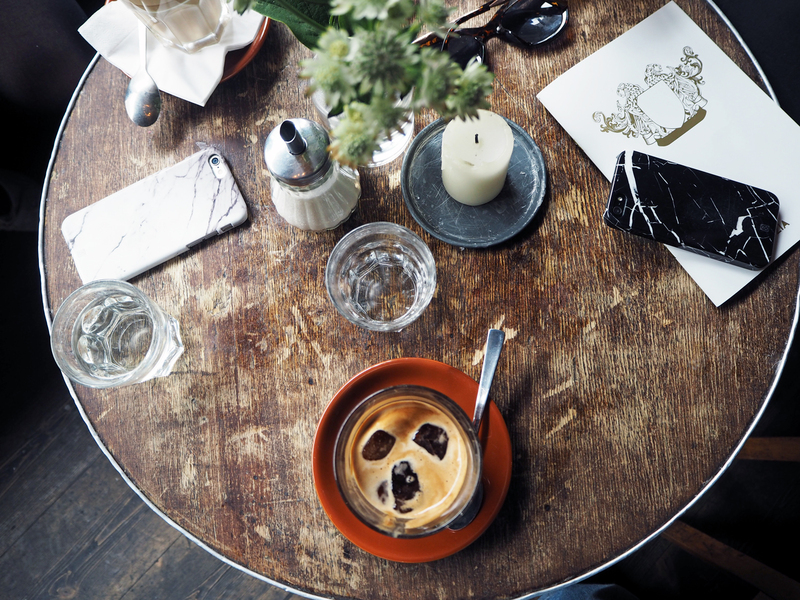 We sat in the window, ordered some ice coffees and juices and watched the world go by outside as young creatives gathered around us talking photoshoots and collections. 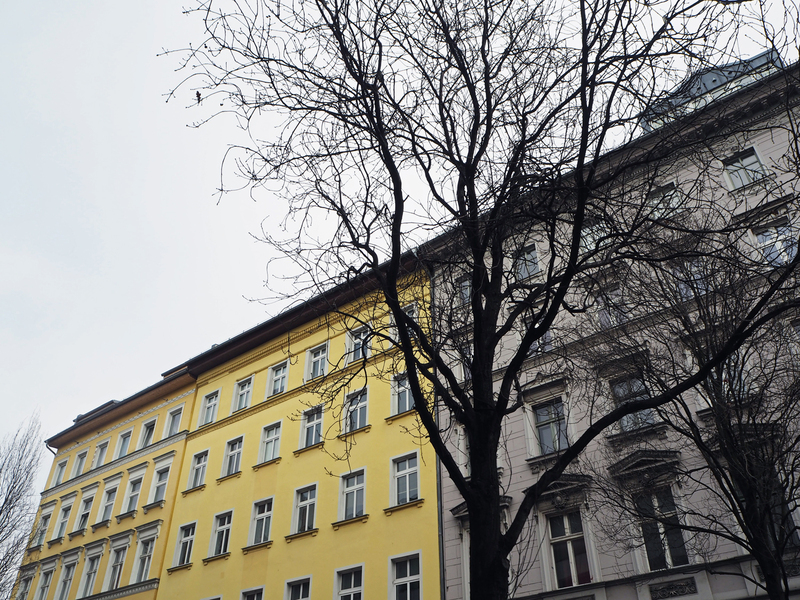 This area has a very different feel to Mitte, it's understated, raw and you can really sense the feeling of the people who live here. 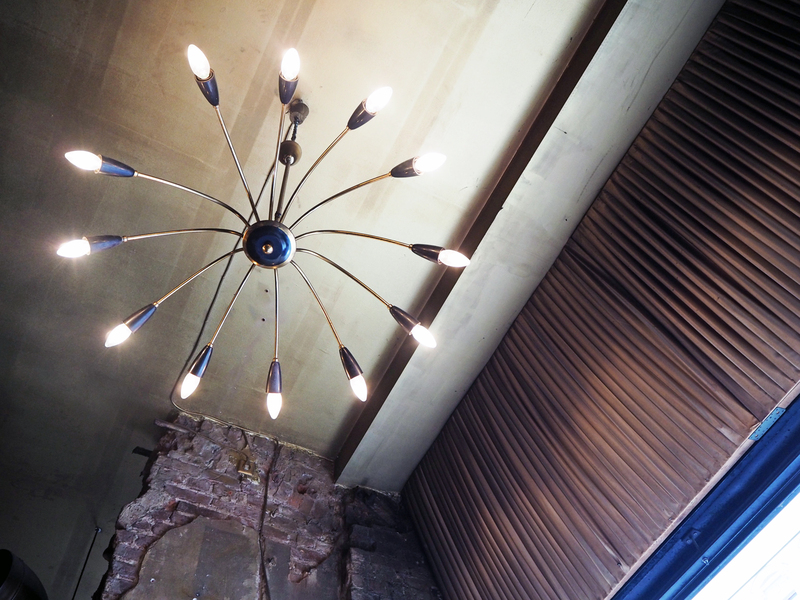 It's antique decor feels unfinished, but it's the kind that seems only fitting for a place like this. 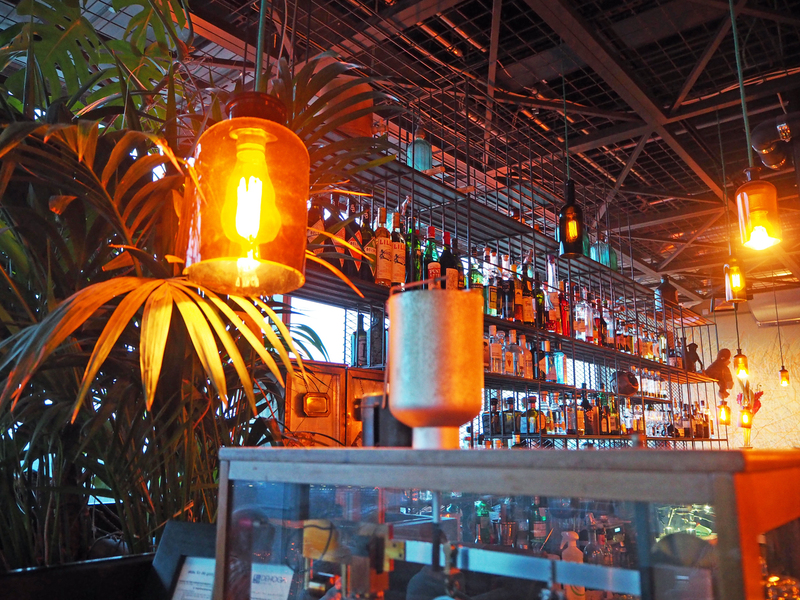 The bar holds club nights on the weekend and is a pretty popular drinking spot come evening. 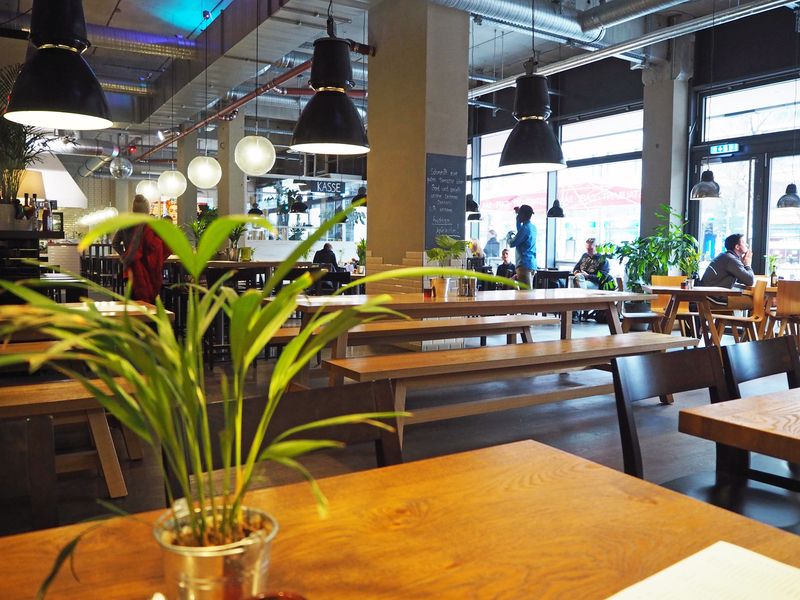 Looking for somewhere for a quick and easy late lunch after our two-hour tour of the city we stumbled upon Kantine Deluxe, a modern restaurant just off of Alexanderplatz. The waiter took our drinks orders before handing us our digital pad/tablet to order on and the tablet buzzed when our pizzas were ready for collection. If you are looking for somewhere to stop quickly without compromising on the food then the Kantine Deluxe is perfect! We only ended up ordering a couple of rounds of beers here so I can't tell you how delicious their cocktails and bar snacks are - only that it is an absoloute must-visit if you're in Berlin. 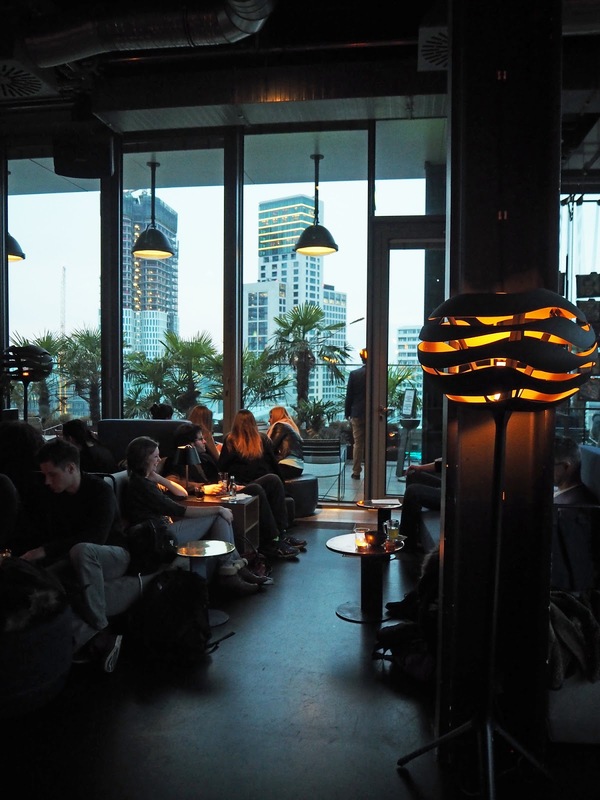 I'm a huge fan of rooftop bars and considering they are usually a summer thing to do, I researched somewhere where we could grab a drink overlooking the city indoors. 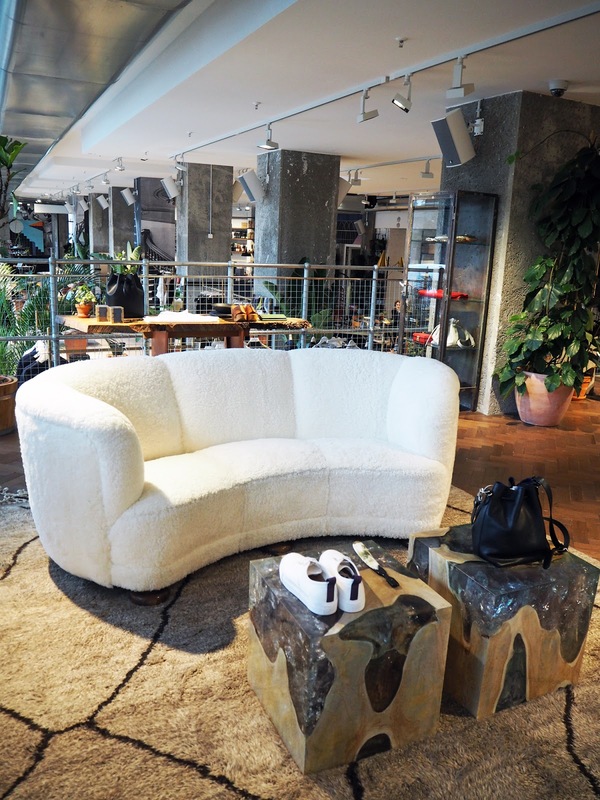 Monkey Bar sits at the very top of the 25hours Hotel within the Bikini Berlin concept mall right in the middle of an amazing shopping district called Tauentzienstrasse (I just had to nip into & Other Stories to look for some new sunnies). 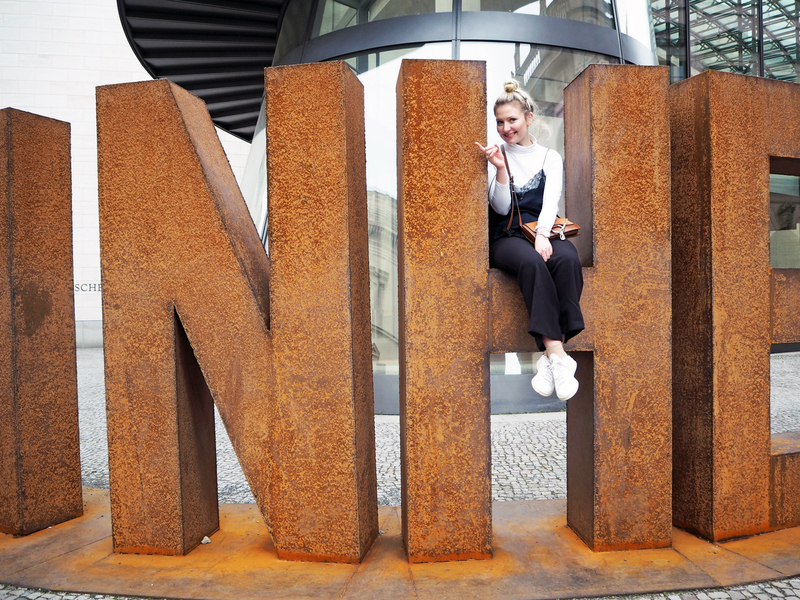 'Bikini Berlin is a unique combination of shopping, working, cinema, recreation, urban oasis and hotel'. 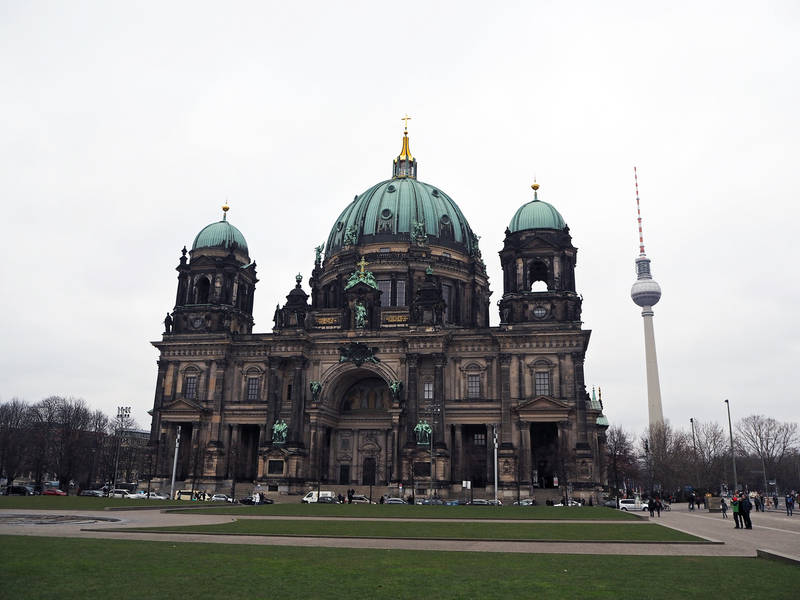 The bar usually fills up early evening, so we headed up for around 4pm to guarantee a table/seating and to watch the day-to-night transition of the Berlin skyline as we were told they almost always hold a queue at the bottom of the life. Why's it called Monkey Bar, you're wondering? 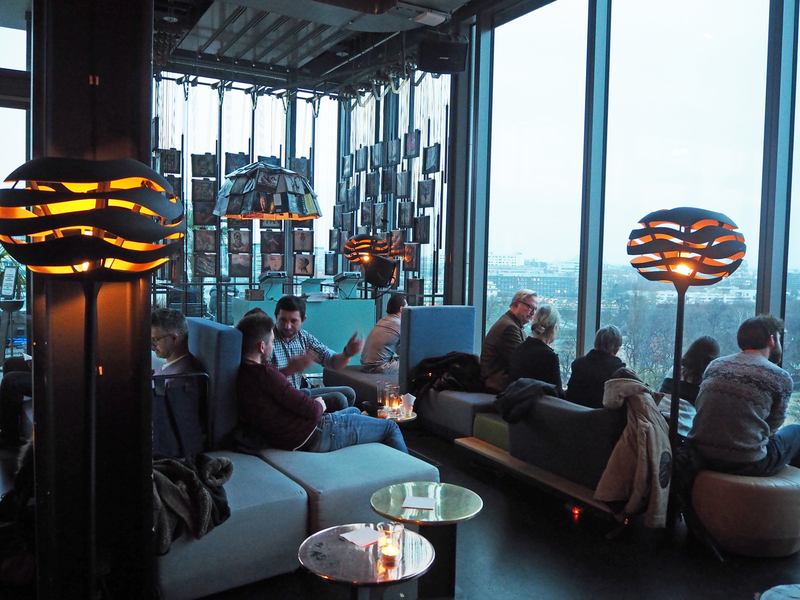 The bar overlooks the Berlin Zoological Gardens - they've even tiered the seating on one side so that you can drink, chat and watch the monkeys, hippo and polar bears from up high. 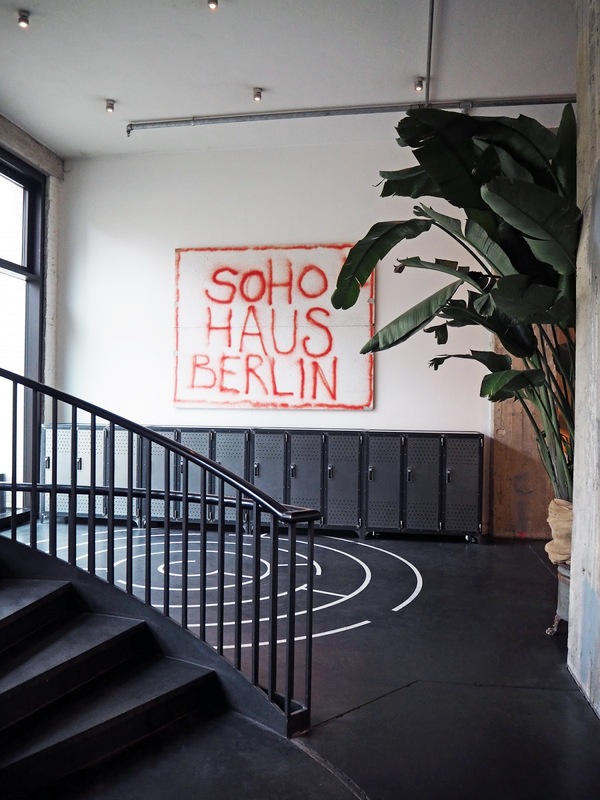 So I'll let you in on a secret... You don't have to be an elite member of the Soho House group to experience a little bit of the Soho House charm here in Berlin. 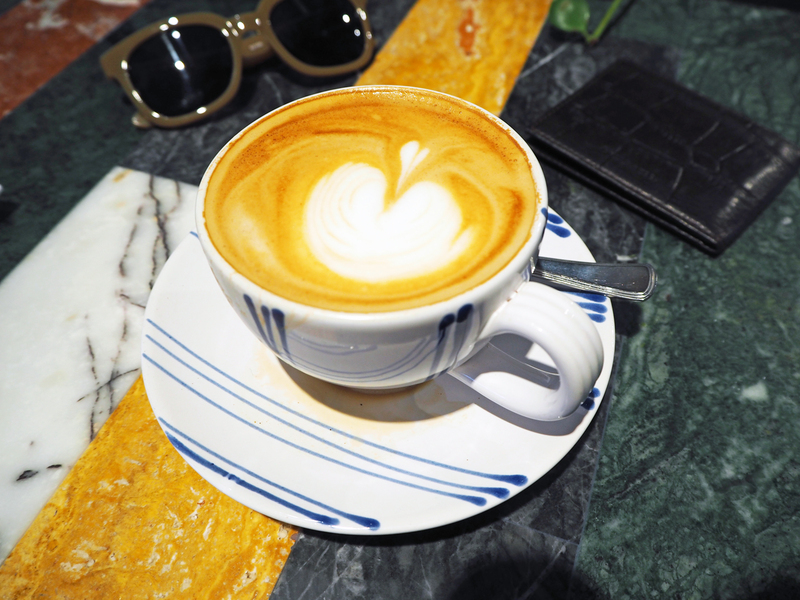 On our last day, we hired bikes and cycled through what we called the 'Upper East Side of Berlin'; through Mitte's perfect little cafés, residential streets and shops until we reached The Store, the flagship of the Soho House chain of 'Stores'. I've been dying to visit forever, but I'll get into the details a bit later on (see - shopping). The difference here compared to the actual restaurant is that you go up to the counter and order your food and drink (you'll carry your coffees but the food gets delivered to your table by the chef - a nice touch). You're still paying for quality food though - there's no compromise on that. 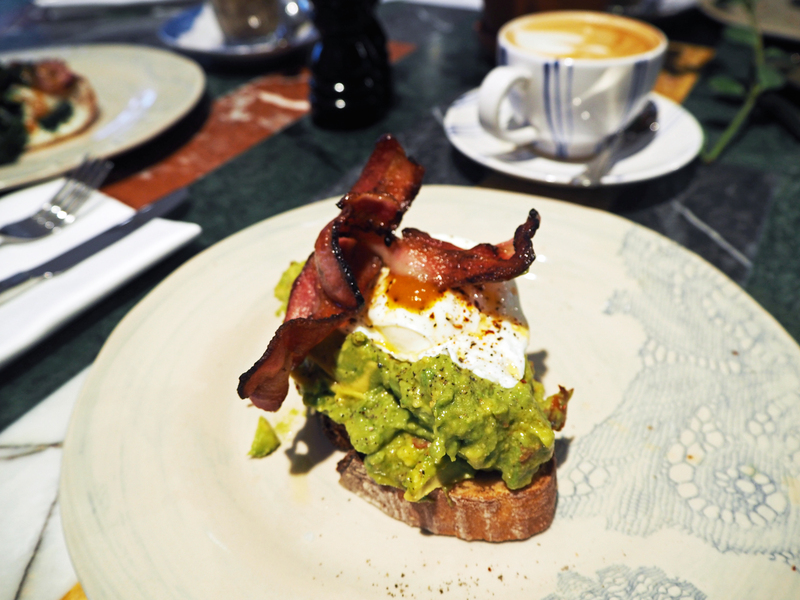 We ordered avocado toasts with bacon and poached eggs and a speciality breakfast dish involving lucinato (yes really for breakfast - apparently it's a relative of the kale variety). I treasured every single bite of mine - it was truly SCRUMPTIOUS! 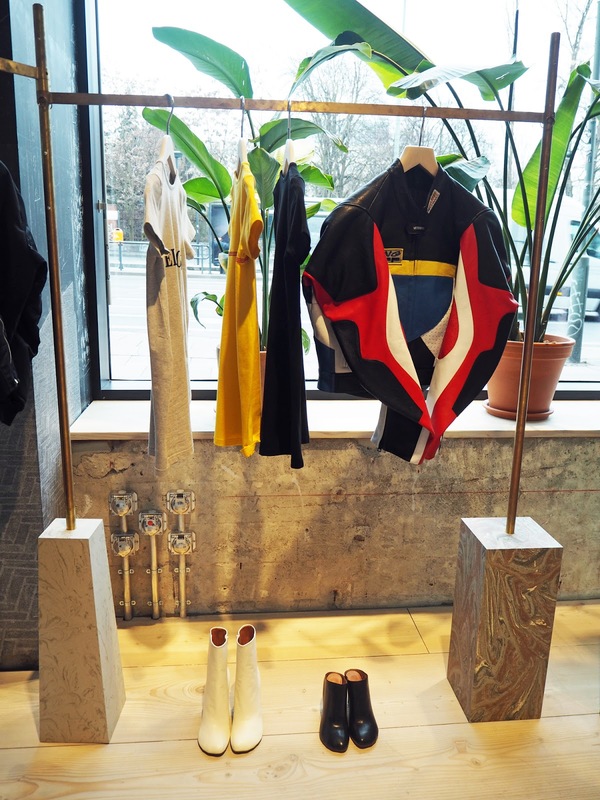 If you want a nice brunch followed by a little gander at new season Vetements, Loewe and Alex Eagle t-shirts then The Store is the place to be! 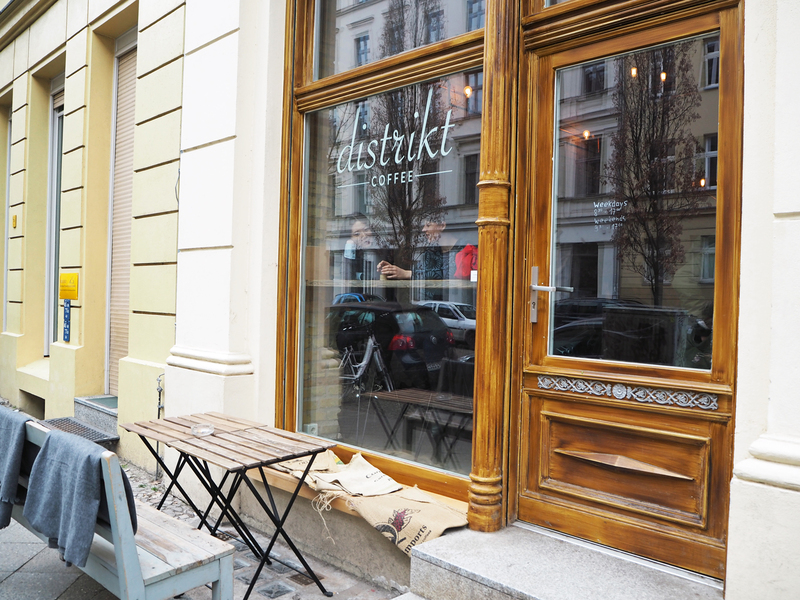 We walked past this place on our first evening looking for a take-out currywurst for dinner opposite our hotel. How could you not take notice of a restaurant called Hummus & Friends... How?! Just adorable. As huge fans of hummus, the girls and I made sure to visit one evening for dinner and we sure did. 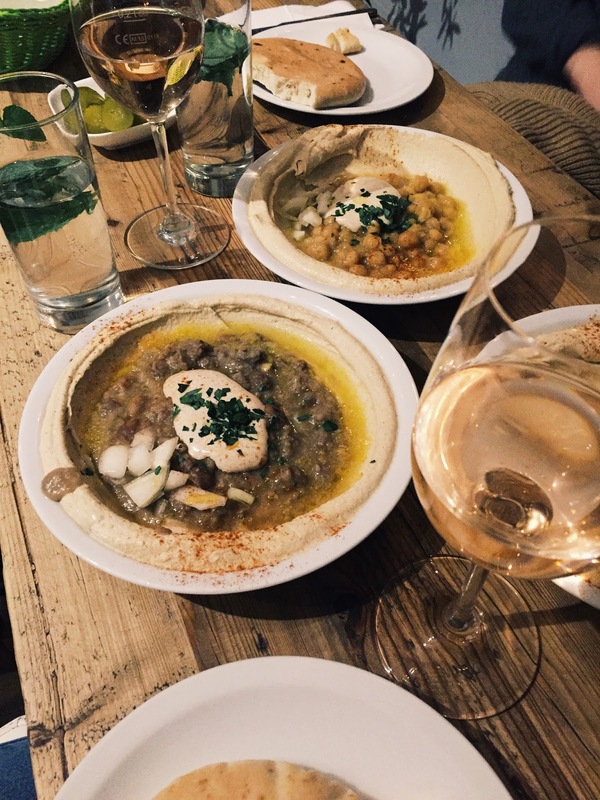 With a nice wine list to assist the delicious food, we decided upon ordering one-too-many dishes of hummus (do not order one per person like the waiter advised) - go with one dish to share between two. They came with freshly baked pittas and we ordered the cauliflower and aubergine dishes to compliment this yummy meal. 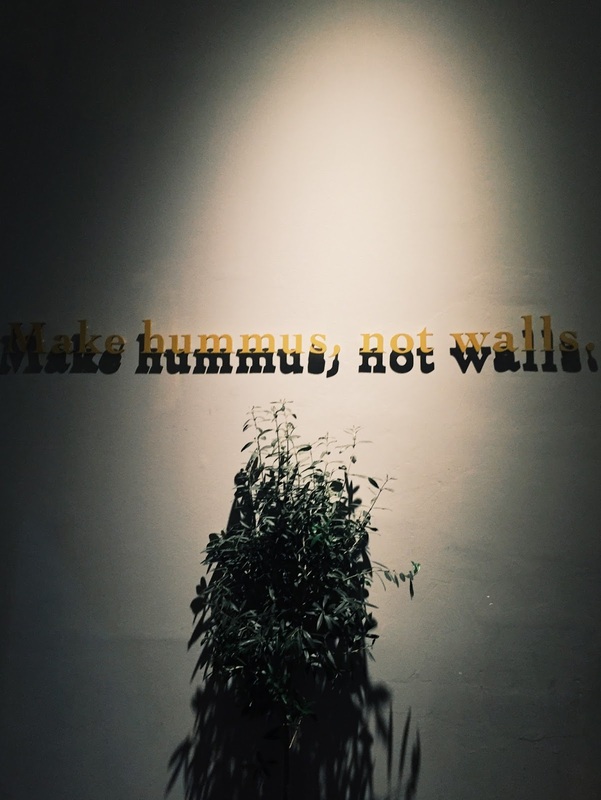 The place had a young-professionals vibe, with loungier seating towards the rear and felt more like a fancy bar than a restaurant where couples share bowls of hummus and a bottle of wine... Oh, and they have a fantastic tagline - Make hummus, not walls. 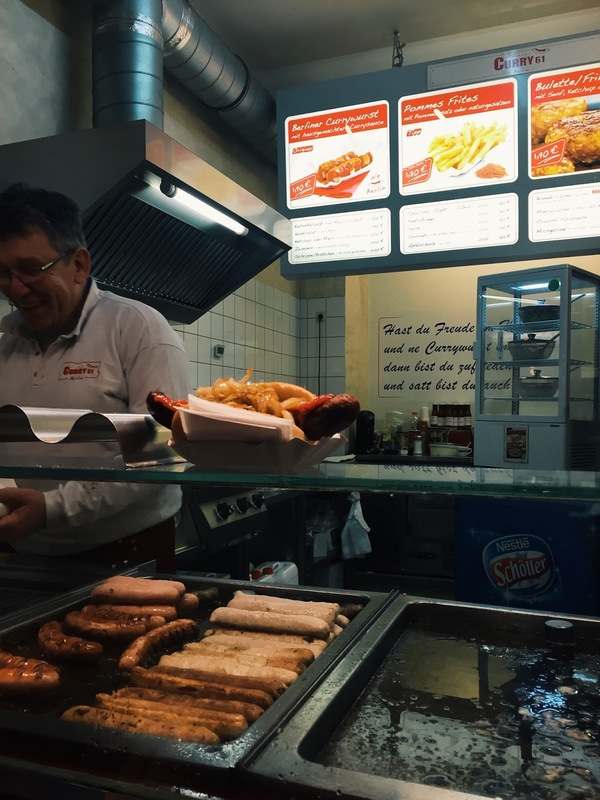 You can't go to Berlin and not try one of their famous currywursts. Our flight was delayed getting into Berlin and after arriving quite flustered into our hotel at 7pm, all we wanted was some cheap and cheerful fast food - we dumped our bags in the room and strolled down our street towards Alexanderplatz (we had no idea where we were or which way was North, South, East or West but we had heard of this square) so we followed a touristy track and 5 minutes later came across Curry61 - a little takeaway sausage shop and went for a hotdog with curry powder (we weren't quite ready in taking the curry sauce plunge) - the owners are very friendly and helpful and I'm not ashamed to say we went back on our last afternoon before our flight. Mmmm. 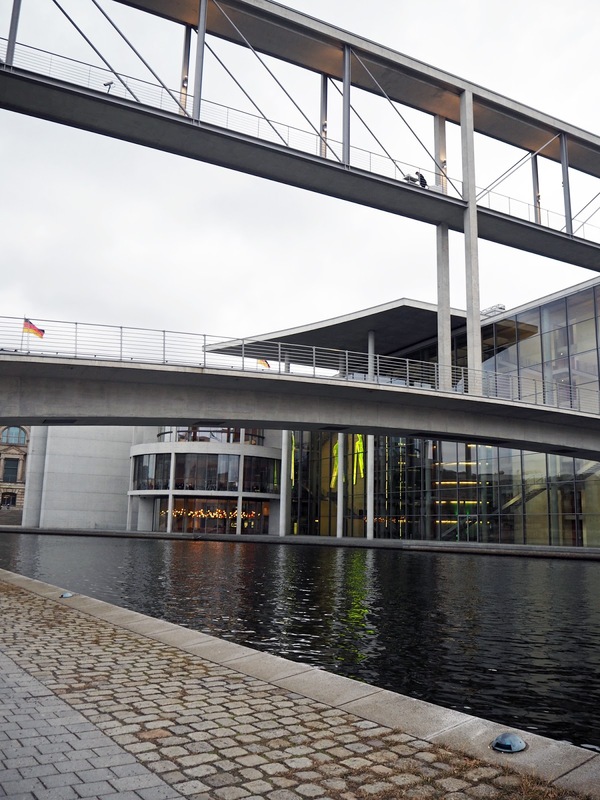 Visiting the roof terrace and glass dome of the Reichstag Building is said to be one of the best views over Berlin and the surrounding parliamentary and government district. 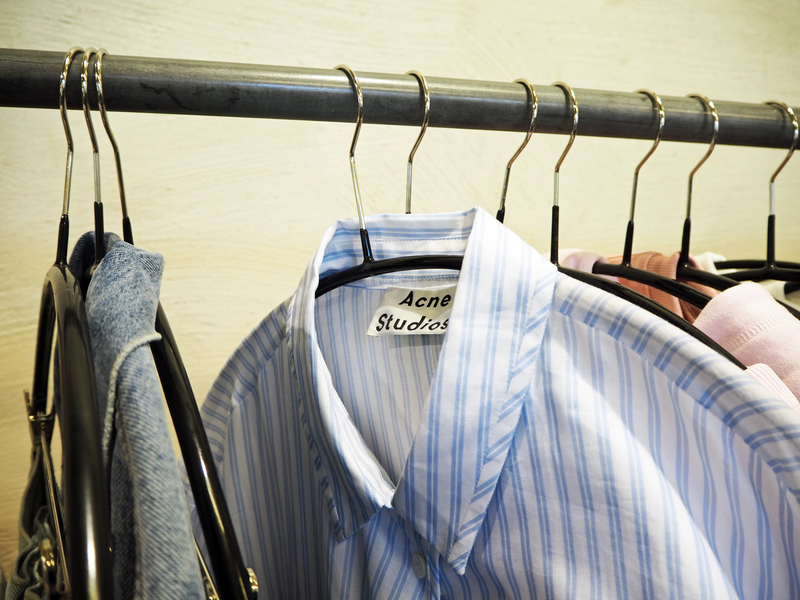 My main piece of advice is make sure you book well in advance. We didn't realise and unfortunately couldn't go up - don't make the same mistake. However, there is a little white ticket office at the front that offers out cancellations for the next couple of days so go early if you want the best shot. We had no luck here though. Tip: You'll need your passport with you if you are going to the cancellation office. 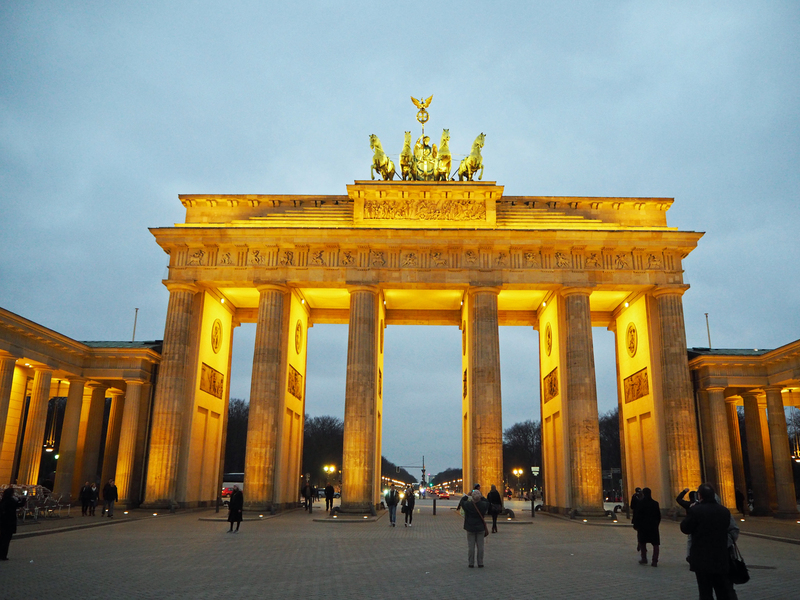 Take a free walking tour guide from the square in front of the Brandenberg Gate. 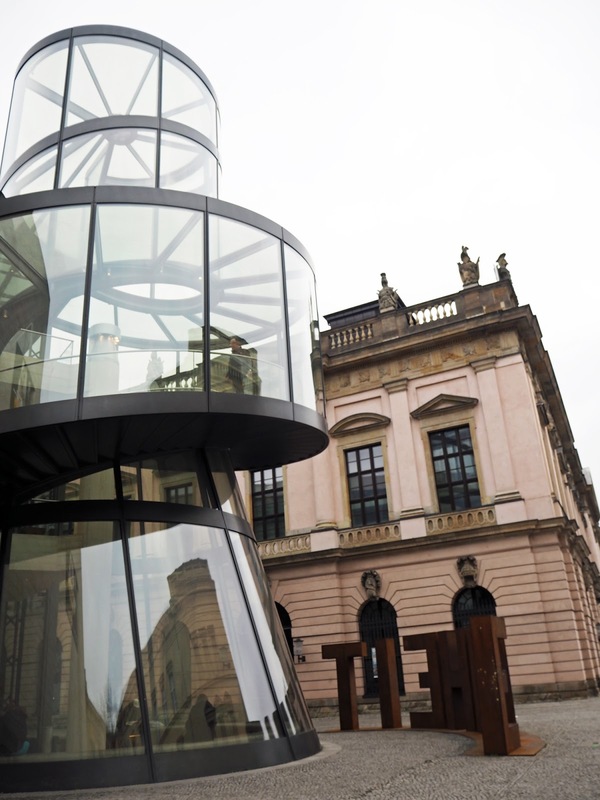 The tour walks through the Memorial to the Murdered Jews of Europe, over Hitler's bunker, Checkpoint Charlie, Gendarmenmarkt, The Berlin Wall and more. It was a bit chilly so I'd recommend going March - October and avoiding the really cold months. It's a great way however, to learn about all the city's history and the multi-cultural nature of the groups is really warming. Our group was made up of Brazilians, Serbians and Ethiopians - we couldn't believe we were the most local out of the whole group! 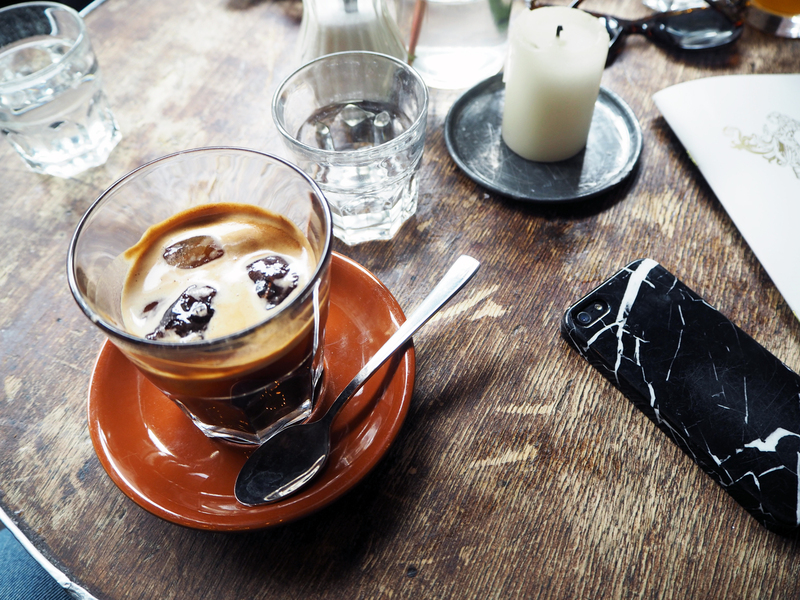 Tip: Make sure you have cash to tip at the end! 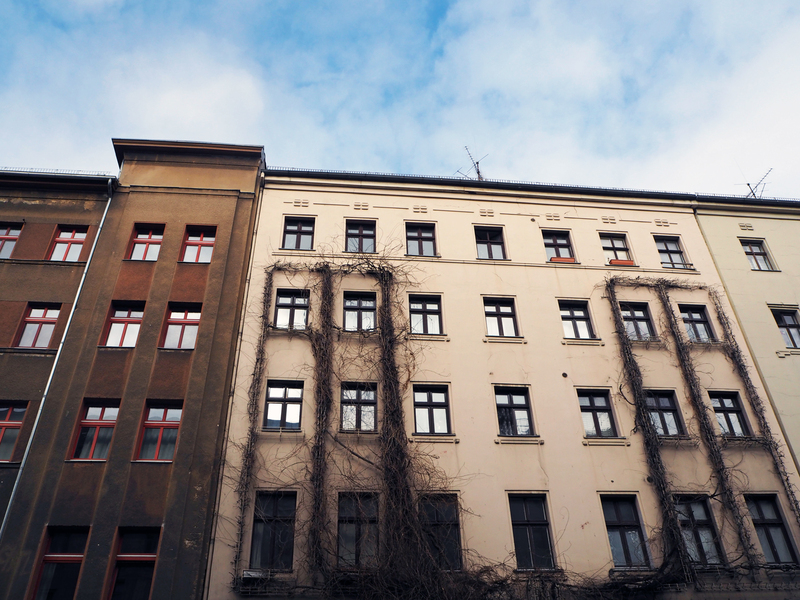 See the last remaining part of the wall with the preserved grounds behind and learn more about history's famous border divide in Berlin with artefacts and videos. It was a real eye-opener and you can view a recreated section of what the wall would have looked like from the visitor viewing tower platform. We hired bikes from our hotel on our last day and boy am I glad we did! We covered so much ground and were able to get from A to B to C in no time, locking up our bikes whenever we saw something that took our interest. I really recommend hiring bikes not only to get around but to explore parts of the city you'd never get to see or cover on foot. 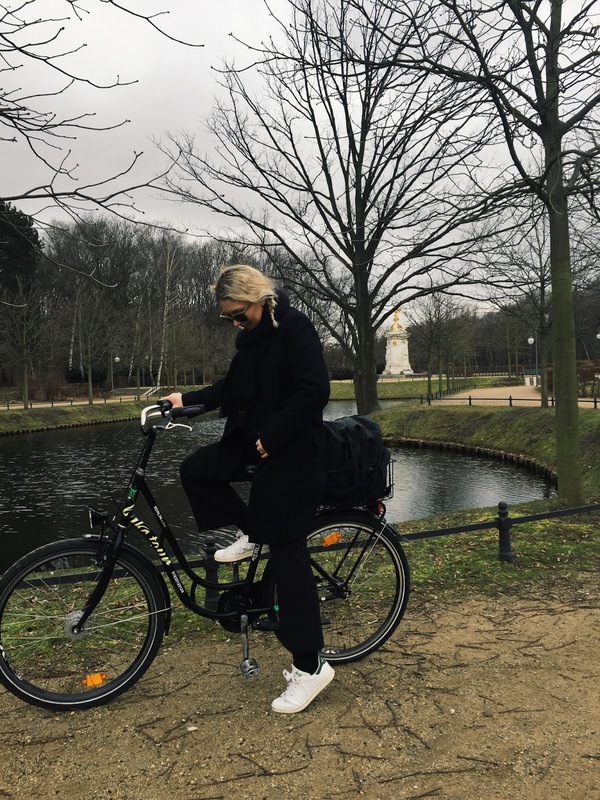 We found cycling down the river to be the most scenic but the Tiergarten park is great as it's absolutely huge and full of tree-lined avenues. Underneath the Holocaust Memorial sits the information center. I never studied the wars at school and was keen to fill the gaps in my knowledge on the subject. After a short queue and a couple of hot chocolates to keep us happy we finally got let in. The museum scans your bags on entry but is free, holding several shocking artefacts and statistics about the conditions of concentration camps etc. 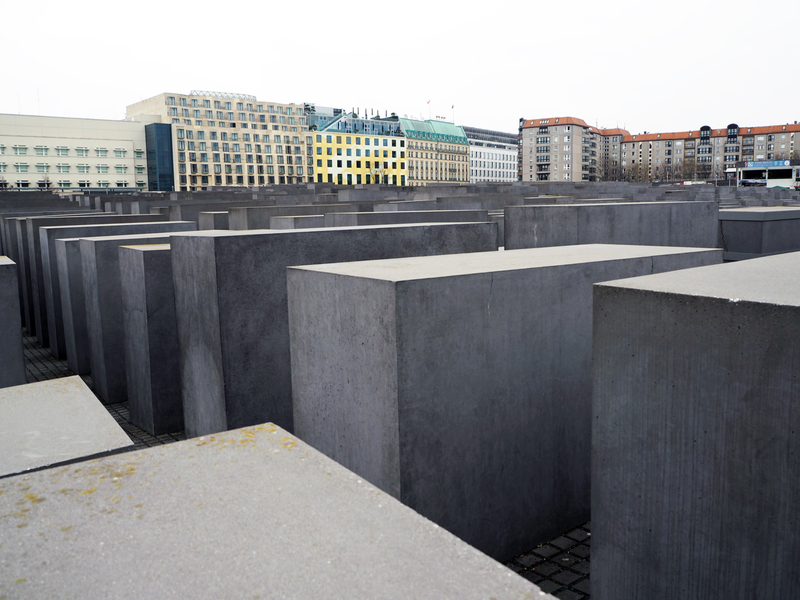 It's worth a visit if you feel like paying your respects to the millions of jews that lost their lives. 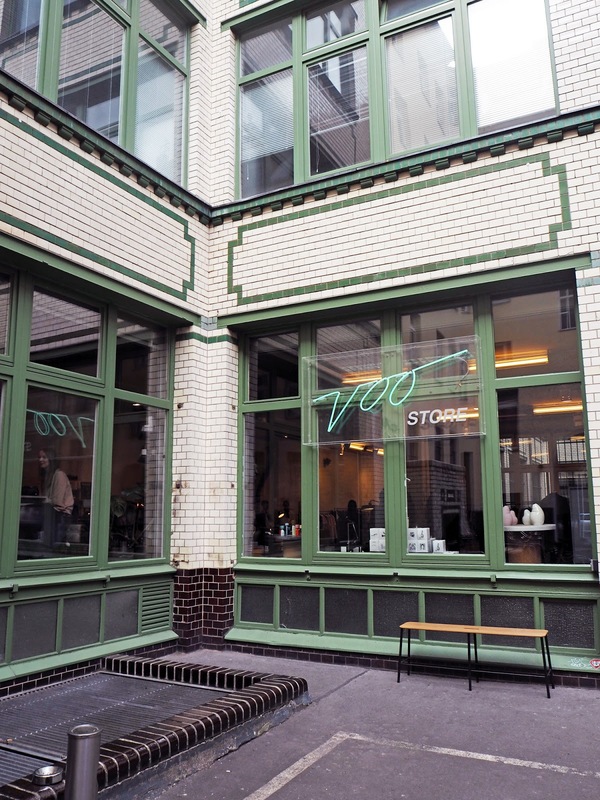 I've listed my two favourites below, but I've heard pretty good things about vintage store The Good Store and also designer haven The Corner (which was closed when we went by) - remember that all shops are closed in Berlin on Sundays for religious purposes. 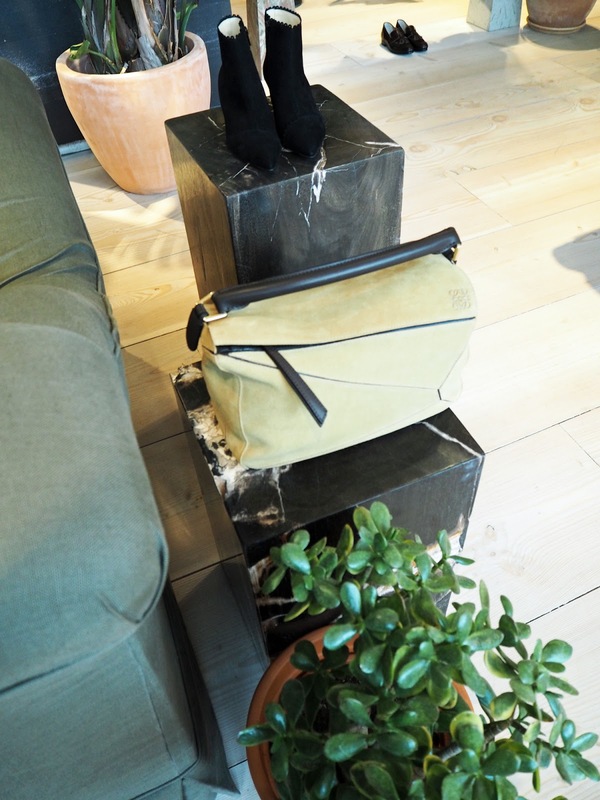 There are great shopping districts in Mitte - think Ganni, Acne, Weekday, Tauentzienstrasse - H&M, & Other Stories and Zara and Kreuzberg/Neukölln - vintage, vintage, vintage! 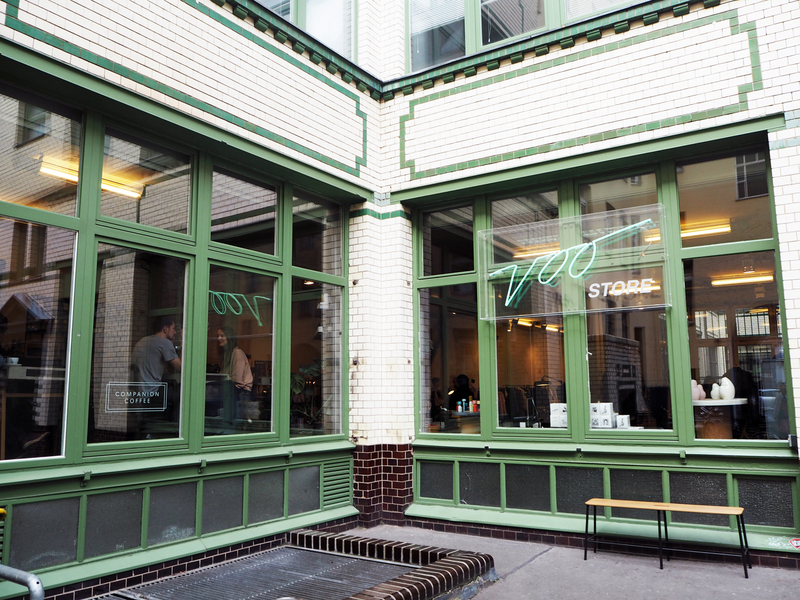 Everybody is talking about this Kreuzberg-located concept store. 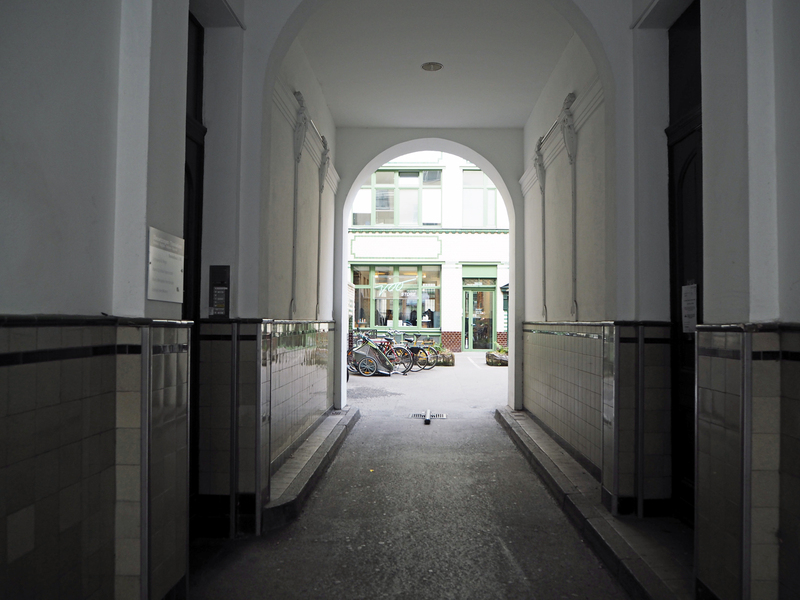 Hidden in a courtyard just off Oranienstraße, it's hard to find (adding to it's local, exclusivity) - only those in the know are invited to pay a visit. 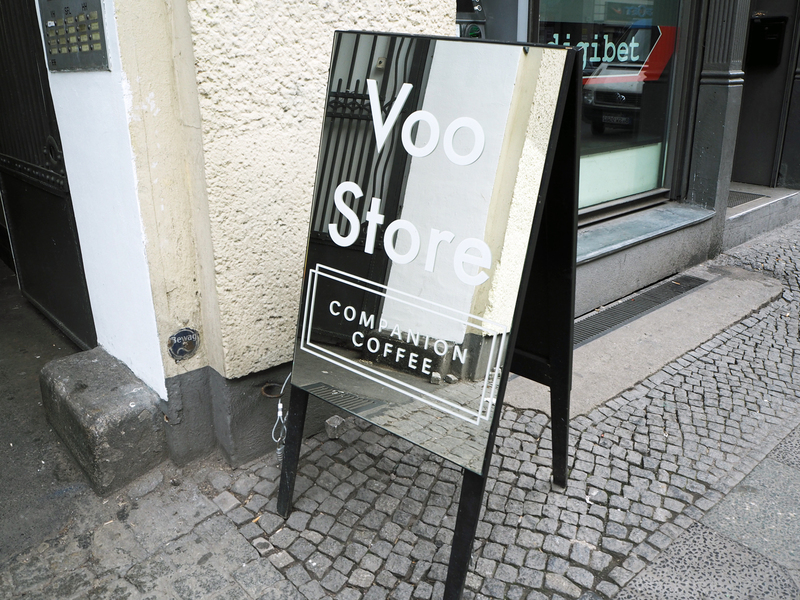 I had to ask a local shop owner for directions after walking down the wrong side of the road where we finally noticed a metallic sign pointing down an alleyway. 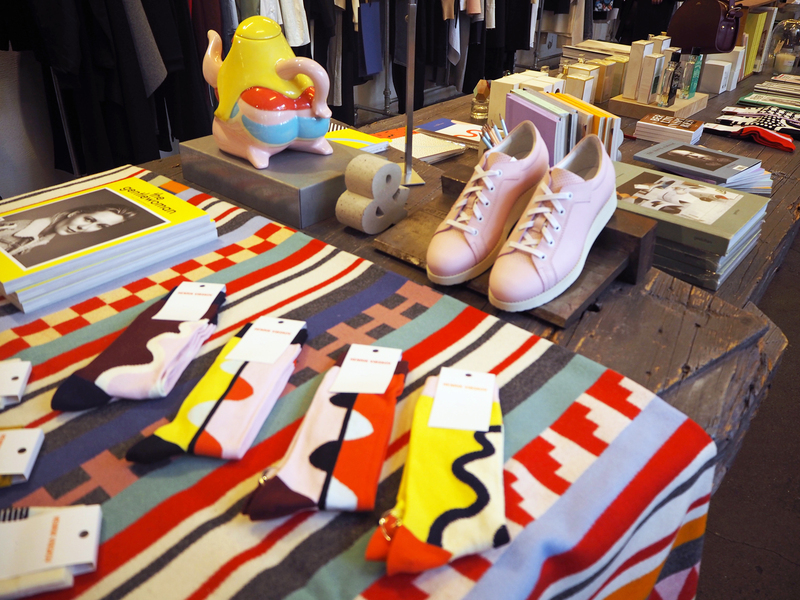 It is worth visiting though if you love Acne, Margiela, Marni and trainers or are after some little homeware pieces or books. 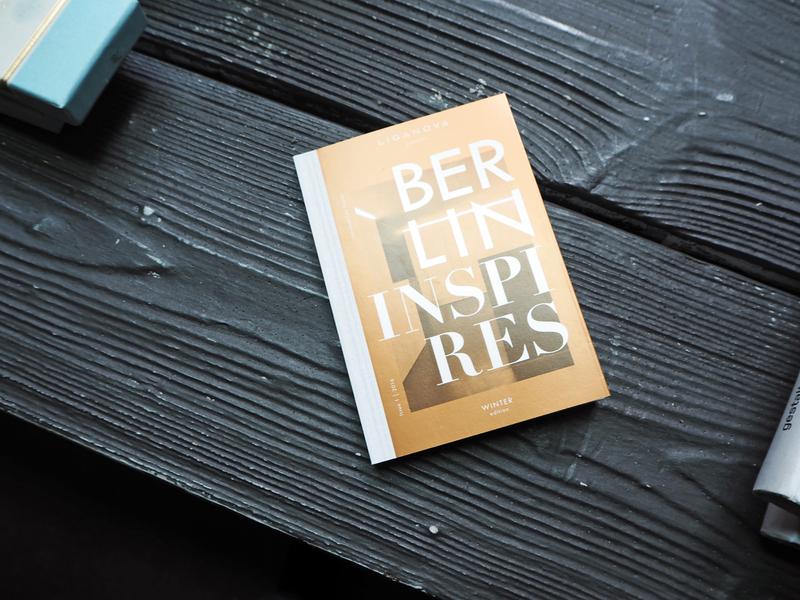 I found an amazing seasonal city guide but didn't pick it up as it was the end of our stay - had I had purchased before our trip I would have been even more knowledgable about Berlin in the colder months. It's great seeing guides like these updated seasonally - we all know that what's cool now isn't necessarily going to be cool next season and this guide can never date. 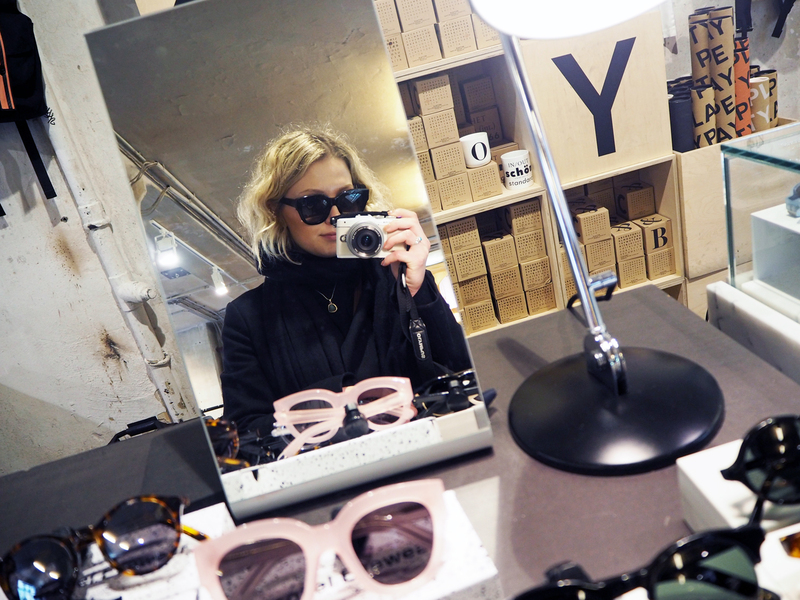 I also discovered my new favourite sunglasses brand Sun Buddies which I'm wearing above - wish I bought them! 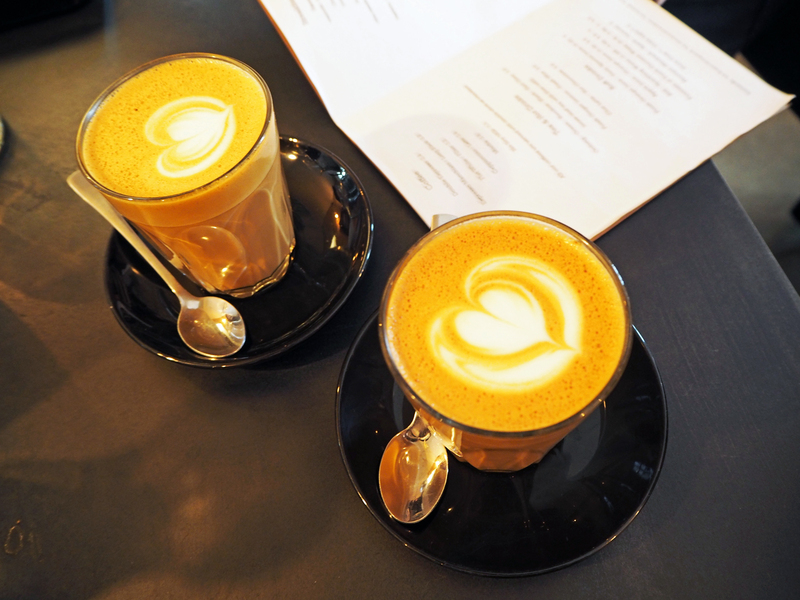 There is also a popular coffee shop provided by Companion Coffee. Shot on the Olympus PEN E-PL7 and iPhone 6. Want to read more? 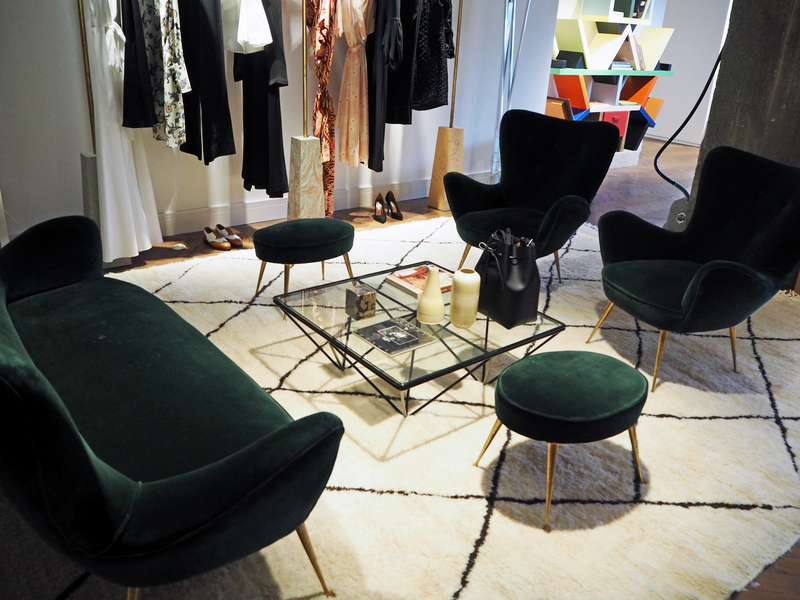 Then view my Marrakech guide here and my NYC guide here. Amazing guide! Loved the photos and the detail, thank you so much! Can't wait to go! such a detailed post! i hope to had a fab time!